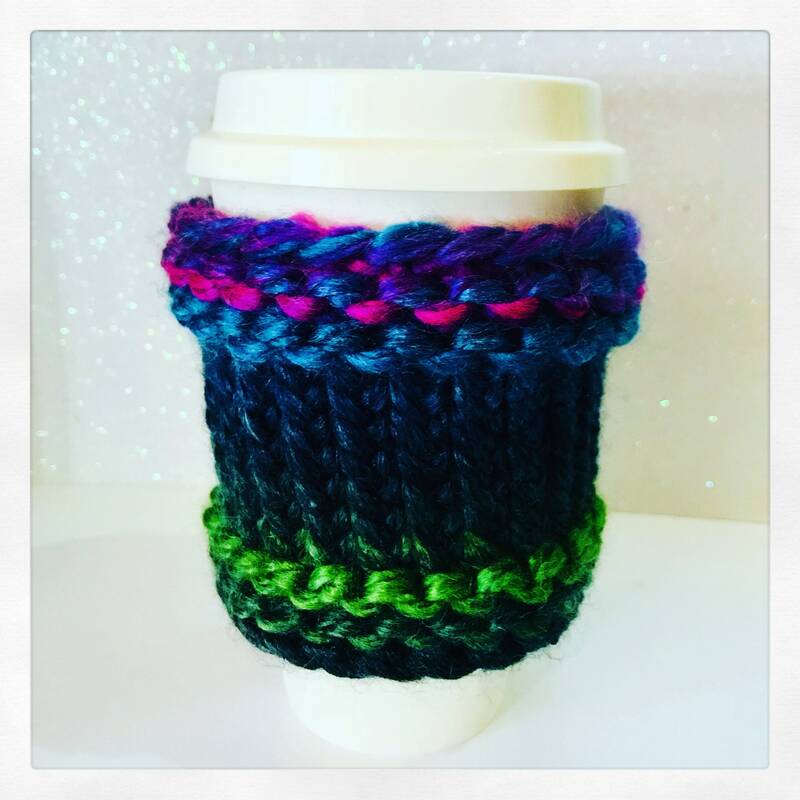 Our eco-friendly monsoon coffee cozy/drink warmer is a must have, to keep your drink warm. The colours are grey, green blue and pink. Please note yarn is an acrylic/wool blend. 80% acrylic, 20% wool. Grey, blue messy bun hat size small.